love these pens..we can wright or draw on our dog cookies real easy. I don't know yet how long they last. but so far I love them. One thing bad was that the green pen was broken when we got it, and didn't work. A: These markers are great to use to draw directly on food. 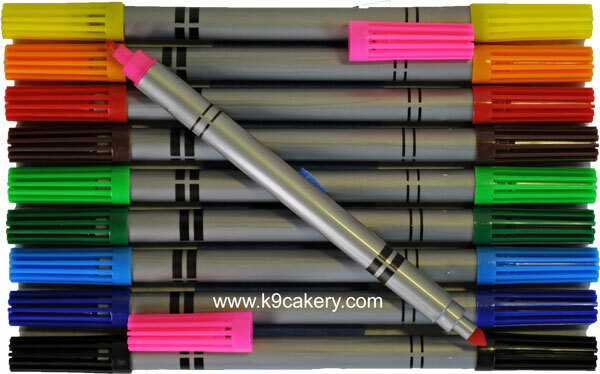 Yes, you can use them to draw on our dog treat icing or dog cake frosting once they are dry and hard.